MediaMOO is a professional community, where people come to explore the future of media technology. The operators of MediaMOO have provided the materials for the buildings of this community, but are not responsible for what is said or done in them. In particular, you must assume responsibility if you permit minors or others to access MediaMOO through your facilities. The statements and viewpoints expressed here are not necessarily those of the janitors, Amy Bruckman, or the Massachusetts Institute of Technology and those parties disclaim any responsibility for them. You are in F. Randall "Randy" Farmer's Office. You see a messy desk here. For those who didn’t know, yesterday was Ada Lovelace’s Birthday, and many of us that have blogs are writing a post about a woman of note in technology. I thought about my selection long and hard, as I know an amazing number of pioneering women doing amazing work who I admire and aspire-to greatly. After much thought, I went with someone in my area of specialization – social media. Someone who has been in the trenches learning about how people interact in real-time for more than 15 years. I chose Amy Susan Bruckman, because we share this particular road: the pursuit of improving mankind’s social interactions using computers and networks as intermediating tools. Not many people were involved with virtual worlds, graphical or textual, in the late 1980s through 1990s. So few, in fact, that several of us formed something we called the Cyberspace Cabal – Pavel Curtis, Chip Morningstar, Amy Bruckman, and myself (with others joining over the few brief years we corresponded). We were the founders of a group hoping to help pound out the terminology of the future of real-time human computer mediated communications. Then came the World Wide Web in 1993 and over the next few years everything began to change. The Cabal drifted apart. Most histories of MUD/MOO only give a brief mention to Amy’s first world – MediaMOO, which was established for media researchers to network and share research and best practices. It even served as the testbed for one of the first experiments in virtual community self-governance with the formation of all-user elected ruling council. MediaMOO fostered many other experiments in collaborative object creation that provided many lessons that are echoed in modern virtual worlds such as Second Life today. Amy carried these insights on into her graduate work at MIT, where she spawned a new derivative of the MOO platform called MOOSE Crossing – designed especially for children to create their own virtual objects, complete with programmable behaviors. In fact, my son created some of his first working code in that world. 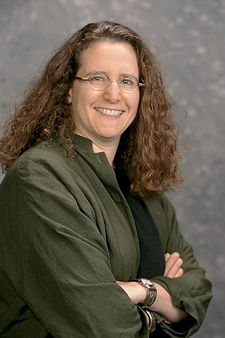 Since then, she has moved from MIT to Georgia Tech where continues the good fight for making computers accessible tools for children and the masses by establishing the Electronic Learning Communities lab and the Opportunities in Computing program to house all the great work by her and now her students. Though she’s already received numerous awards from her peers for being a pioneer in this area, I chose to single her out today for her unwavering and clear focus on the positive benefits on online community and for her continued personal efforts to keep the research community connected. I (Randy) will be leading a session on Reputation and Context at the Online Community Business Forum in Sonoma, Califonia on March 19th and 20th. My session is currently scheduled to be an hour-long breakout at 2:30 on the 19th. I’m currently thinking of limiting the amount of context-setting material to about 10 minutes and having the rest be a working session for helping people sort out their reputation contexts, models, and abuse mitigation issues. If you’re planning on attending, feedback here about what you’d like to see from my session is strongly desired – leave a comment below or drop me an email. I’ve attended the ForumOne Community events for several years now and found them to be invaluable. This year should be no exception. The program is still evolving, but already has an impressive list of innovators and stalwarts of Online Communities speaking and leading sessions.